I am going to start off with something that warms my heart every morning. 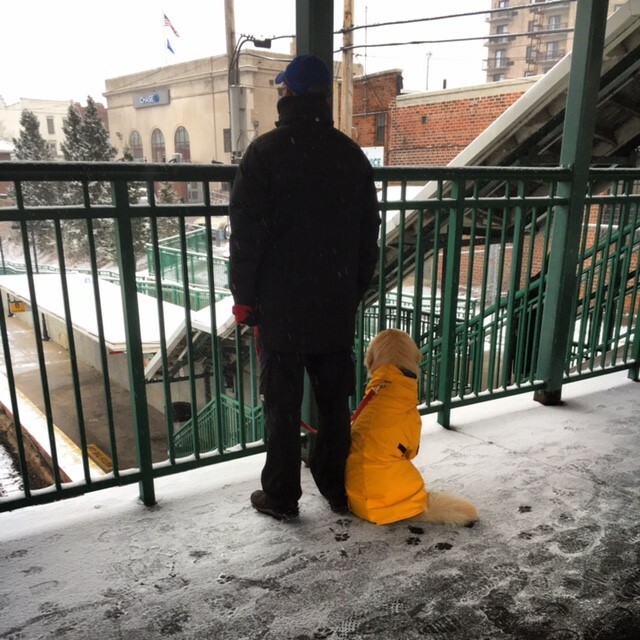 This beautiful golden retriever loves the train. She gets super excited, all over wiggles, when it comes into the station, and her owner brings her every morning to watch. And her rain coat today was just on point. #allthefeels for this duo. I have been waiting a little while to write an update but finally have some good, and bad news. Towards the end of January as I was due for my Remicade infusion I started to feel not so great. I figured it was the Crohn’s and my body was ready for the infusion. Plus the stress from finding out my company is closing. I told my doc (new one at the practice my original one left and I decided to stay) and she mentioned my dose had been reduced from the max. When things weren’t getting better I assumed it was due to the dose being lowered. Insert blood tests, scopes and a ct scan later…and the good news is, the Remicade has knocked the life out of the disease! 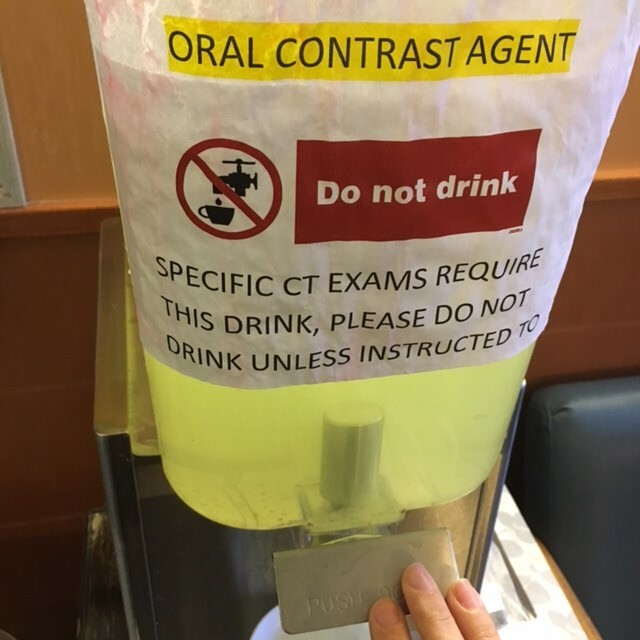 As in the doctor who did my CT asked if I was sure I had it. And considering how severe it was this time last year that is AMAZING news. The bad news is, as my GI suspected, I am now presenting with IBS (which isn’t all too uncommon with IBD patients). She put me on medication, Librax, which is supposed to help with the muscle spasms and I have to say I am feeling a little improvement. But, this also means learning trigger foods which shall be a giant (and not so fun) undertaking. I got VERY comfortable and felt so good for a while that I loosened up on my food “rules” (part of why I wasn’t really believing it was IBS vs a flare since this came out of the blue again) but now am reigning it all back in. I am doing research and linking up with the RD at my GI practice for some help, but I know it means backing off some veggies, very minimal lactose and sugar/processed foods. I won’t be going gluten free. Gluten has never been an issue for me and I have tested for celiac a couple times already. I don’t eat a ton anyway but I know that isn’t my problem. I have a half marathon next weekend which I had high hopes for. At the moment I am not sure I will be able to race it if my gut is not cooperating so it may be more for fun but we shall see. 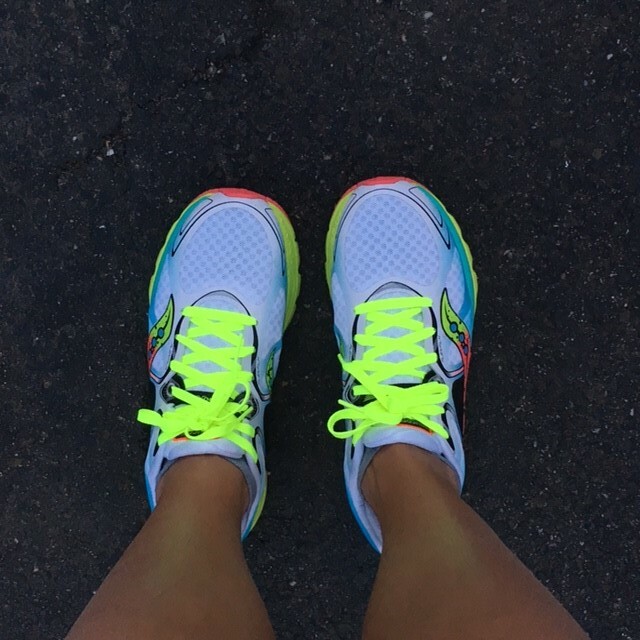 At least I have a pretty new bright pair of Kinvara’s to run in. So there we have it. I am bummed for something else to figure out but honestly I would rather this than to know my Crohn's is flaring. You gotta love the "good news / bad news" situations... at least if it's IBS, you will have more control over it (hopefully?). Also... yay for shiny new Kinvaras!! Sorry to hear about the bad news, but sending you some good positive vibes to with the good news! Love the new shoes and the adorable pic of the guy with his pup at the train station!